Dental implant specialist Neoss® has acquired Swedish production and development firm arc solutions AB, as part of ongoing expansion plans and a growing focus on digital dentistry. 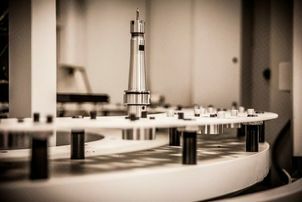 The combination of Neoss, which focuses on advanced, intelligent implant products and arc solutions AB, which has specialist expertise in Computer Aided Design and Manufacturing, will greatly benefit dental clinicians, dental laboratories and patients. arc solutions AB will retain its own brand, while operating under the Neoss umbrella. The acquisition will strengthen the Neoss market position across Europe and provide the next step in the commitment to remaining at the forefront of digital dentistry, a significant growth area.